Smith began his career with Leicester City, progressing through the ranks from their junior side. 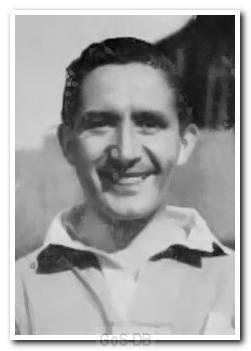 After two years on the fringes of the first team following the war, he moved to West Bromwich Albion and there helped the club win promotion to Division One in 1949. After three years with West Brom he was signed by Argyle, in part to replace Peter Rattray at inside-forward. He played fairly regularly during his first season at Home Park but when he found himself on the sidelines for most of the following campaign, moved to Crewe Alexandra, where he played for one season before retiring.